"Mr. Cuomo became governor on that platform and recorded several impressive achievements, but he failed to perform Job 1," reads the editorial. "The state government remains as subservient to big money as ever, and Mr. Cuomo resisted and even shut down opportunities to fix it." The editorial later stated, "Because he broke his most important promise, we have decided not to make an endorsement for the Democratic primary on Sept. 9." Cuomo has recently come under fire for accusations of tampering in a corruption investigation by the Moreland Commission, a group appointed last year by the Democratic governor. The commission was part of a plan to wipe out violations of campaign finance laws in the state. 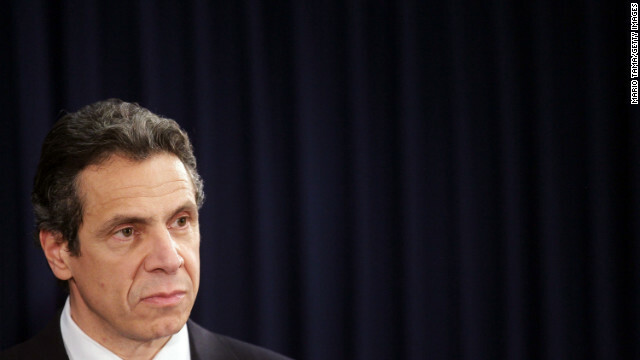 According to the New York Times, when the group subpoenaed a firm that had done advertising for Cuomo's 2010 gubernatorial campaign, the governor's senior aide, Larry Schwartz, then pressured the commission to withdraw that order. Cuomo has defended himself against the charges, telling reporters last month that, "By definition the commission took advice and opinion from many, many people." The New York Times editorial cites this as Cuomo's "worst moment of all" and a large part of the reason they aren't endorsing the Democrat. And while the editorial board doesn't endorse Zephyr Teachout, a law professor running against Cuomo in the primary, they do write that she is "an advocate of precisely the kind of transparency and political reform that Albany needs." Despite the non-endorsement, it is widely expected that Cuomo will coast to victory in the state's primary and in the November general election. Not if i have anything to do with it, I never like this son of a gun. I will not vote for cuomo in sept or nov.
Not to come to Cuomo's defense, but he made those promises prior to Citizens United, before the SCOTUS created a legal mechanism to bribe politicians. Snubbed by the NYT? I'm sure he's weeping. Better than being indicted by a grand jury though, eh TX? That being said, yeah, the optics (at least) of his behavior towards that commission were horrible. Gotta wonder what these idiots are thinking half the time. "The New York Times editorial cites this as Cuomo's "worst moment of all" and a large part of the reason they aren't endorsing the Democrat." Oh, dear. Does this mean we're in for those dropping poll numbers CNN is so fond of producing. You know. Like the one CNN posted stating that Scott Brown is going to win New Hampshire because ... well, among other things, he likes single women – they like him – and therefore he's a shoo-in? Well there you go . Another typical demo thats unable to see the big picture and corrupt an crooked as a dogs hind leg and im not trying to be mean to the dog ? Sorry Fido . Sounds like you are the one missing the big picture. Saying "typical demo" proves it. What you should have said is "typical politician" because its typical on both sides of the isle. I have been disappointed to say the least that Mr. Cuomo tried to influence a corruption investigation. I would not endorse him either nor vote for him. That being said, I'm sure he has a place in the 'other' party should he so choose to jump ship... it has been my observation and experience that they always have room for 'crooked like a dog's hind leg' politicians over there. In fact... I beleive an active investigation, indictment, or conviction is now a prerequisite to even be considered for a WH bid over on the right. BTW- Just heard on the radio the stock market broke records again today- 1st time ever the S&P broke 2000. I must say I have been won over by your extensive research backing the clear position you take. Thank you for commenting in a style that typifies the factual undeniable conservative position in an argument. The imagined ability to speak with dogs was a plus. Cuomo is defiantly part of the Albany corruption. My and many other votes will be for another governor this November!